Figure 73. Thoulet device for measuring the virtual density of large samples. 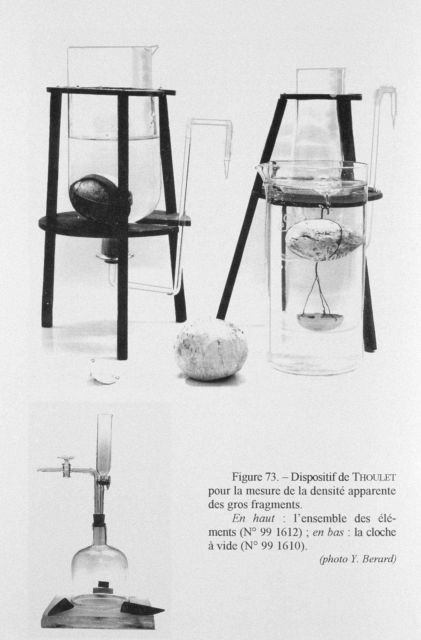 Julien Thoulet described this method in 1905 for determining the apparent density of pumice stones, in order to better understand the origin of these rocks which were found in abundance in bottom samples obtained by the PRINCESSE ALICE.